Engineering Techniques of Ring Spinning states that Ring Spinning is an age old technology prevailing in the process of fibers to yarn conversion. Its versatility in dealing with wide range of materials in terms of type, properties and even as an individual or blend is unbeaten till today. Several new yarn production techniques have been launched in the commercial market, but none of them have been able to compete with ring spun yarn in terms of its superior yarn properties and capability of spinning all types of fibers with very wide range of yarn counts. 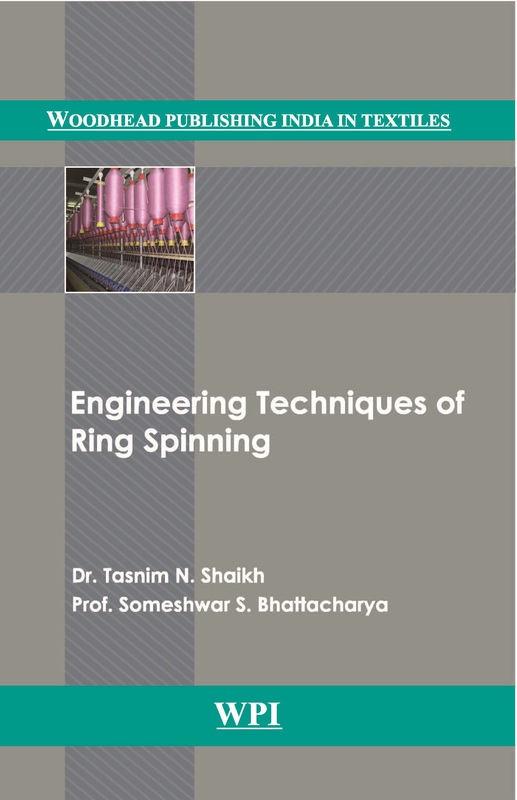 Endless efforts have been made by various researchers and machine manufacturers to further improve the performance of ring spinning. This book provides a platform for critically evaluating various engineering and technical changes undergone in this legendary process and the scientific approach lying behind these changes. Sincere attempts have been made to accommodate all these details thoroughly and technically in a well-organized manner in this book.